There are a number of important tips to playing and winning online casino games that you should know before getting started. Online casinos have revolutionized the gambling world, providing fun, accessible and easy ways to try your luck and win big. Make sure that you pick a legitimate online casino to play in. A legitimate casino is one that has fair games that offer a fair chance to win, and it is one that pays out your winnings promptly when you do win the casino games. So pick an Internet casino that is well established and has a good reputation. Make sure each bet you make is only a small portion of your bankroll, ensuring that you can play for as long as you like. Feel ready to start winning? Start betting now! If you want to have the best chance of coming out a winner at the online casino, it’s important to play the games that offer you the best odds. Online casinos regularly post offers, promotions and even gifts, don’t be afraid to take them up on the offer! Set a limit that you’ll deposit each day, week or month, and stick to it! Playing drunk has been the downfall of many otherwise smart gamblers. Don’t let this happen to you. 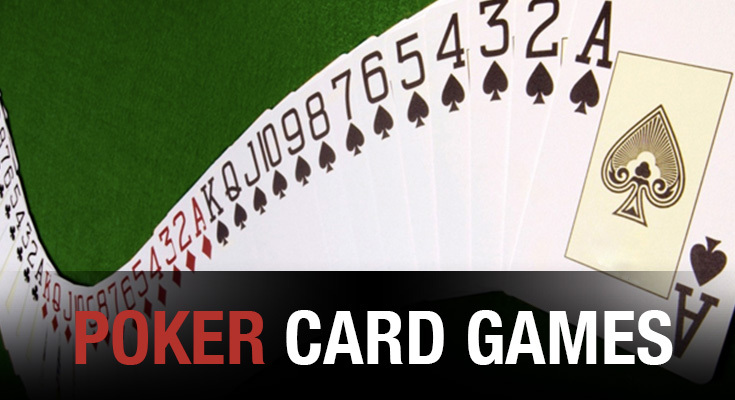 Want to know everything about online poker card games? Follow our How to play poker articles! Live poker is always fun and when you’re playing with friends it’s even better. Make sure you choose stakes that every player is comfortable with as well to ensure a friendly home poker card games where everyone can enjoy themselves. Dealer’s choice is a form of poker cards games where each player who acts as the dealer gets to select a new variant for the players to play. Betting structure and the overall game is typically the same. It can be played for free or for real money with bets usually kept to a minimal. This game is played with a maximum of 10 players and no wild cards. Since 7/27 is a counting game, each card dealt to a player has a value. The object of 7/27 is to reach either 7 or 27 by accepting or turning down cards. This game is a split game, meaning one or more players will be playing for high (27) while one or more players will be playing for the low pot (7). 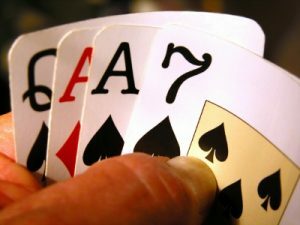 Jacks or Better is played just like a 5 Card Draw game and prior to the hands being dealt the dealer must choose how many draws players must take and whether the draws are optional or not. Players will than receive five cards face down. Each player will have their turn to open and can only open if they have a pair of jacks or better in their hand. If a player does, they will inform everyone at the table that they are able to open and place an opening bet. Those who wish to stay in the game will call the bet and the dealer will deal the additional cards to the players. Players will again have the chance to bet and a showdown will take place. The best five card hand wins the pot. Players will first ante into the pot. Each player receives three cards from the dealer, dealt face done. 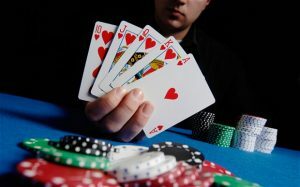 Players will than look at their cards and decided if they want to play in the hand simultaneously. This is usually done by taking a poker chip and discreetly placing it in your hand or hiding it. Everyone brings their close fists to the center of the table and opens. Those who drop chips are the players who are playing the hand and the others who did not drop are now out of the game. The players will than flip their cards over and the player with the best three card hand wins the pot. We have listed a basic reference guide to the rankings for playing three card poker below this article for you. To begin playing post each player will first need to ante into the pot. The dealer will than deal players two cards each face up. The player to the left of the dealer will than decide if they want to take a card or muck their hand. The object of the game is your 3rd card must fall in the middle between the two cards on the table in relation to ranks. As an example; if you have a 3 and 10 you would want a card between 4 and 9 in order to win the pot. If the card given to you is higher or lower than your spread you will pay the cost of the ante into the pot. This is how the pots get so big so fast. Each player will receive two down cards and one up card. The player to the left of the BB will start the first betting round by calling, raising or folding. This will continue until each player at the table has had the opportunity to play their hand. The dealer will then deal players 4th street followed by another round of betting. This process will continue until the final card dealt which is 7th street and will of course be dealt face down. The player with the best hand, and highest spade face down wins. The card game is played just like Holdem in that there is a flop turn and river card with a betting round in between each and similar to the game of Omaha, players will need to make their 5 card hand based on their 2 hole cards and three community cards. 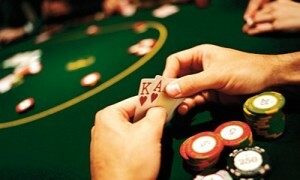 There are also, lots of fun tournament formats that can be played with 6-10 players at a home poker games. A few popular tournament formats include knockout tournaments, heads-up tournaments and many others. It isn’t hard to set-up a quick tournament with your friends. The game of poker may go back as far as 200 years, but the online version as we know it today is only a mere 13 years old. 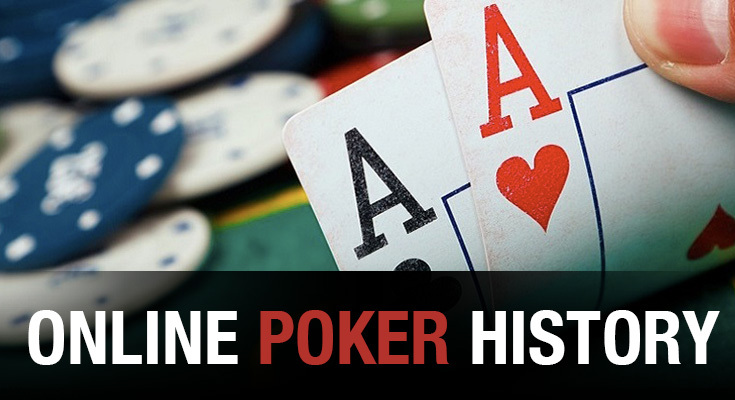 Online poker history started in the mid 1990’s and a couple of years later the first real online poker rooms saw the light of day. The first online poker room was Planet Poker launched on January, 1998. Planet Poker was founded by poker pro, author, and legend, Mike “Mad Genius” Caro and is still in existence today, though it quit taking real money bets in March 2007 following the UIGEA fiasco (more on that later). The first real-money poker game was a Texas Hold ‘em game of $3/$6 stakes. Later in the year, a Senator Jon Kyl from Arizona introduces the Internet Gambling Prohibition Act (IGPA), so that before online gambling had even really gotten started, there were already lawmakers trying to knock it down. If passed, the IGPA would make it illegal for websites to offer online gambling services to US citizens. It fails to pass. By the end of 1998, the online gambling business has generated $834.5 million in revenue despite connectivity issues, slow servers, and primitive network technology, as reported by Frost and Sullivan, global market research firm. Other online poker rooms soon entered the fray. Paradise Poker out of Costa Rica, was established in 1999 and would soon become the industry leader. During this initial period of entry, the infamous case of Poker Spot occurred. Poker Spot was an online poker firm founded by Dutch Boyd, a successful poker player. It was not until 2001 that the two most dominant online poker firms entered the industry. Poker Stars became a popular destination, much because of the extremely popular PokerStars tournaments, and Party Poker made a splash in the industry. Throughout 2001, Paradise Poker remains in the front line of the industry, but PartyPoker has begun offering tournaments, and that summer, they host a series of tourneys that finish up on a cruise ship, now known as the PartyPoker Million cruise. The promotional-style strategy they adopt is a very successful business model and pays off with financial success. While Party Poker was spending millions on marketing, one man’s $40 buy-in truly put the entire industry on the map. Chris Moneymaker’s Cinderella story of winning the World Series of Poker was the type of advertising the online poker industry could once only dream about. In 2003, Chris Moneymaker qualifies for a seat at the World Series of Poker Main Event and wins the tournament, turning a $40 investment in a qualifier tournament into a $2.5 million payout. This instantly catapults PokerStars into the running for biggest online poker site with average Joes everywhere signing up with the site hoping to be the next Moneymaker. Moneymaker inspired millions and as if over night, again, the online poker community swells. PokerStars takes in more players than all other sites combined. By 2004 PartyPoker is making more than $1 million in profit daily. 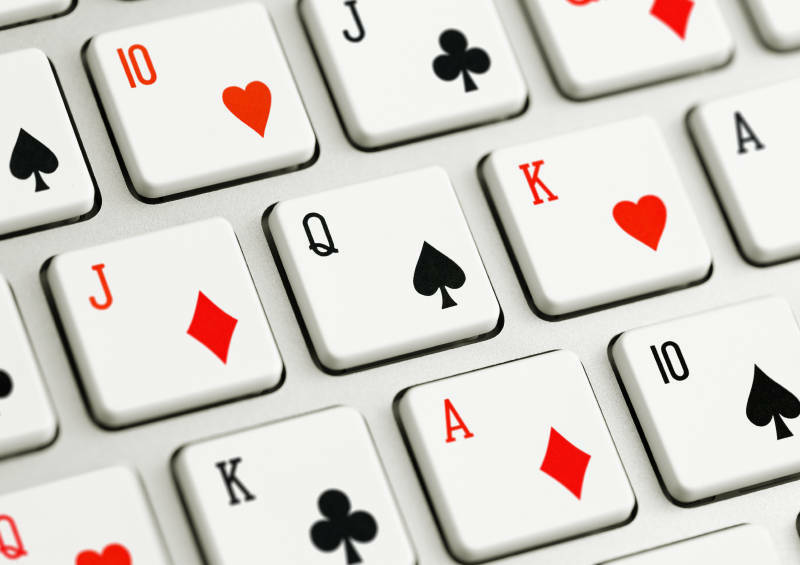 Online poker is growing faster than anyone could have fathomed. Mainstream America is seeing poker on television and more players are signing up. 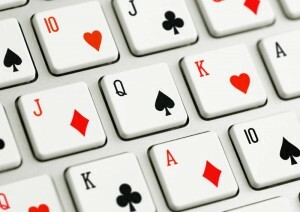 More and more new online poker sites are popping up on a daily basis. Full Tilt Poker emerges with heavy advertising campaigns on television and top poker pro spokesmen. 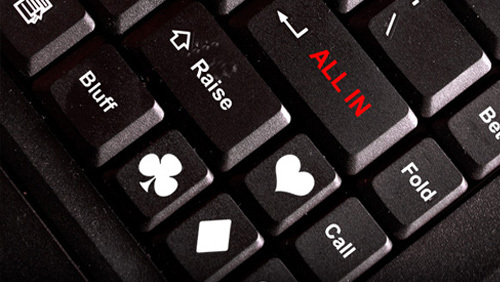 Full Tilt instantly becomes one of the big guns in online poker. In 2004, search engines Yahoo and Google remove all Internet gambling advertising from after the US Justice Department announces that advertising for such activity may be interpreted as aiding and abetting illegal gambling in the Wire Wager Act of 1961. The US makes up more than 51% of the $8.5 billion in revenue generate by online gambling, according to Christiansen Capital Advisors, industry researchers. In 2005, an estimated 55 million Americans participate in online poker, 15 million of those playing with real money, according to the Poker Players Alliance (PPA), a newly founded grass roots advocacy group formed to combat the fight against online poker in the US. This year, PartyGaming lists on the London Stock exchange with a market value of around £4.6 billion. By the end of 2011, online poker in the US is pretty much eradicated, and the future of regulation looms uncertain overhead. The game of poker is a gambling card game, and playing poker online is currently undergoing a surge in popularity. All poker online games variants involve betting as an intrinsic part of play, and determine the winner of each hand according to the combinations of players’ cards, at least some of which remain hidden until the end of the poker hand. A joker or other wild cards may be agreed upon. At the end of a game at the showdown, those players still remaining compare their hands according to the hand rankings. Suits are not used to break ties, nor are cards beyond the fifth; only the best five cards in each hand are used in the comparison. In the case of a tie, the pot is split equally among the tied/winning hands. 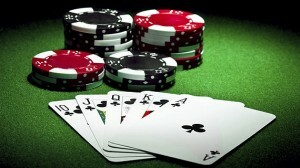 Poker ‘escalates’ as players bet against each other. Because of this, players may be drawn into risking larger and larger amounts of money without appreciating the odds of losing. Poker games and tournaments have different rules depending on where they are played. Think about your opponent’s cards. Pay attention to the game. Don’t jump in at the high limits. Another common mistake beginners make is to think that “Well, I’ve already put that much in the pot, I have to stay in now.” Nope. You can’t win a pot just by throwing money at it. There may be cases when pot odds warrant a call, but if you’re sure you’re beaten, and there’s no way your hand can improve to be the best hand, you should fold right away. The money you’ve already put in the pot isn’t yours anymore, and you can’t get it back just by playing a hand all the way to the end. This one follows the last tip. I see a lot of players look at another player’s final bet, look at the hand, & say “I know you’ve got me, but I have to keep you honest,” as they throw in a final call. It may be worth it to see if a player really has the hand if you’re not sure & you’re gaining information that will help you later on, but if you really feel a player has the hand he’s representing & you’re beat, why give him another pile of your money? Those bets will add up over an evening. When you first start playing, it’s enough just to remember how to play and pay attention to your own hand. But once you’ve got that down, it’s incredibly important to look at what’s going on at the table. In Texas Hold’em, figure out what the best possible hand would be to fit the flop. Make sure you notice flush & straight possibilities. In 7-card stud, pay attention to what’s showing & what people have folded when you consider calling opponents. As you play, one of the single best things you can do is observe your opponents, even when you’re not in a hand. If you know if one player always raises in a certain position, & another has a poker tell when he bluffs, & a 3rd folds to every re-raise, you can use that information to help you decide how to play against them. Once you know that player 3 always folds to a re-raise on a river, that’s when you can bluff & steal a pot. One of the reasons you shouldn’t jump into a $5/10 game after winning a huge bunch of money at $2/4 is because as the stakes rise, so does the average skill level of the players sitting there. You want to be one of the best at the table, not the fish who sits down with sharks. If you’re making stacks of money at a lower level game, why move? You’re winning stacks of money. The swings up & down at higher limits are much bigger, and one big night’s win won’t last long at a high-stakes game. Pot Limit Omaha Poker– A player can bet what is in the pot (i.e. $100 into a $100 pot). This is the most popular form of Omaha Poker. 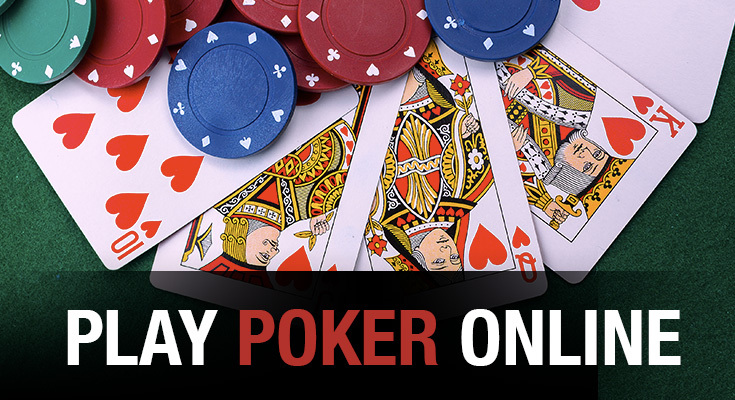 No Limit Omaha Poker– A player can bet any amount, up to all of their chips. Fixed Limit Omaha Poker– There is a specific betting limit applied in each game and on each round of betting. advice about your starting-hand selections. As you are learning to play Omaha/8, play only the following hands. An x denotes any card of any rank. A “w” denotes a wheel card (2, 3, 4, or 5). A “t” denotes a ten through a king (T-J-Q-K). [A t t t] Play an ace with three high cards, especially if the ace is suited. This is a strong hand, particularly if the board doesn’t come up with a possible low. These guidelines are extremely tight and are meant to be used while you are learning the game. As you gain experience and learn your opponents’ playing styles and hand selection, you can play a few more starting hands. Hands with an A, 3, and two high cards are often playable as well as hands containing an ace suited to one other card that offer flush and straight possibilities and some low potential. Beginning Omaha/8 players often overrate pairs, especially pocket aces. Unlike Hold’em, a pair will almost never win a pot. Even trips are often beat by a straight, flush, or full house. A game that has over 50 percent of the players seeing most flops. In most poker games, especially Omaha/8 and Hold’em, the player who starts with the best hand will win a higher percentage of the time than any other player. If you follow the starting hand guidelines above, you will be entering the pot with a stronger hand on average than the other players. Playing poker online is out there in a big way. Anyone can find a game for fun or win real money. In some places, it is not so easy to get to a local game but online you can play with the best of them. Online poker introduced Chris Bryan Moneymaker to the poker world with a program that offers a chance at the big leagues. Naturally, after his success many others flocked to online games, hoping for such an opportunity. The average casino is located in a heavily populated area or somewhere along the coast. This normally leaves many people who might enjoy playing poker out in the cold. The expense of going to a place with a casino and the price of hotels leave many in a bad place, naturally, people wanting to play poker in a professional setting. However, there are touches that add a flow to online games. Online games enlist ringing noises of slots, the same noises in the casinos. It is only noticeable that a player is not in a casino if they look around. Online games have missed no detail. They are as good as the real thing. A great deal of poker is played online. This may be that conventional casinos prefer to avoid poker because it is not as financially lucrative or the fact that online poker gives a chance to play without feeling inept because you do play well. It is always nice to learn or lose when you can be anonymous. For mainstream casinos, slot machines take less room and produce more income per amount of space and upkeep. There are no fees for online tournaments and money required participate in games is less. Anyone can play for pennies as opposed to one chip costing a week of grocery for some players. Thousands of people play daily all over the world and there are hundreds of sites. Some are linked sharing an address but there are a small number of stand-alone sites. Not every municipality welcomes online poker but like times in the past this has not stopped this game people love to play. The wording is changed to satisfy the law and offering classes rather than gambling. To be sure, people playing the unreal games will be ready to play the real thing when it is presented. Poker is a game of math, statistics and focused thinking. Even playing for fun teaches these things. 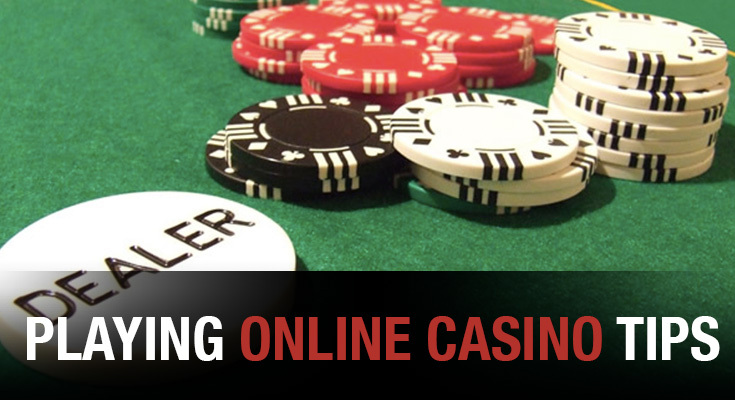 Thanks to online play, poker has become anybody’s game. People in many places can win actual money and in some areas, they can only play pretend but the game is the same, poker. As always, politics has played and will play a role in the promotion or downfall of online poker. The industry moves with the decisions of legislative bodies, and the mood of the public. Young players of the game are finding it as exhilarating as video games and as challenging, so who knows what the future hold for online poker, only time may tell. The popular idea that the early events in poker tournaments are insignificant is wrong. In a way, this approach is similar to the time-worn saying in golf, “Drive for show; putt for dough.” While there is a kernel of truth in this statement, driving in the fairway makes your approach shots easier and, therefore, your putts typically more makeable. How does this relate to poker tournaments? You cannot win any money if you don’t go deep in these tournaments. Early round strategies must be effective to allow you to reach deeper into tournaments. You cannot execute your final table strategies if you don’t make it to the final rounds. Are you looking for the best Poker strategies?, WagerWeb offers you the best online gambling options, check it now! Focus on implied odds.Protecting your large starting chip pile is more important than targeting individual small pots. When your hole cards are not strong, just fold and wait for better starts. You’ll often be unaware of your opponents’ strength, weaknesses or behavior patterns, which increases your odds of failure. Play the potential odds, whether in your favor or not. This is not overly conservative play; it’s smart. Wait for hands that might win larger pots.This strategy is vital for early round success in no-limit games, where your entire chip stack is always at risk. Although a bit less important in bet-limit Texas Hold’em tournaments, protecting your chips remains critical to surviving early rounds and going deep. Target straights, flushes and full houses to improve your survival odds. Play aggressively when you have strong hands. Your early round strategies should not be overlyconservative or overly Become a tougher opponent by playing aggressively, when you’ve got the cards to back it up, and don’t be afraid to bluff, when you’ve got hands within your defined bluffing range. Even a few losing hands will give you insight on your opponents’ playing patterns. Adding a little “mystery” or unpredictability to your game in early rounds may confuse less experienced opponents, taking them out of their game. These few strategy suggestions are but the tip of the early round iceberg. The more tournaments you play, the more respect you will develop for the importance of early stage tournament strategies. Once you accept the importance of early round play, you will develop additional strategy plans to keep you in the game. Going deep in poker tournaments is critical to making them profitable for you. Yet, you must get through the early stages unscathed to have a chance at walking away from the final table with dollars. Unless you’re playing against a table full of newbies, you will need to exercise just as much strategic thinking in the early stages of a tournament, you must in the final rounds. Should you treat early round navigation as unimportant, you will seldom have the opportunity to sit at the final table. Early stage strategies should neither be reckless nor overly conservative and predictable. Playing recklessly at any stage results in diminishing stacks. Employing drastically conservative behavior also typically results in early tournament exits. Protecting your original chip pile, flavoring it with aggression, when warranted, will help you succeed in and survive early stages of tournaments, particularly large ones. Playing just as strategically in early rounds often allows you to “play on the big stage” in the final rounds. The following are some solid tips and guidelines aimed at helping the beginner poker player succeed at the table. Often, patience is the name of the game in poker. A good player is thoughtful and observant. One of the biggest mistakes that a new player can make is playing too many hands; playing more hands doesn’t equal winning more hands. Another way to think about this concept is to consider it as discipline. A disciplined player will play only 2 out of every 10 hands dealt. However, being patient or disciplined doesn’t mean being passive. A new player needs to make smart decisions regarding his hand, and knowing when to be patient with a hand and when to make an aggressive play is a key element of the game. Being aggressive and being patient are not mutually exclusive. Playing “tight” (using the example of Texas Hold ‘Em) means considering your hand before the flop. Do you have a monster starting hand, e.g., AA, or KK, or QQ? Excellent, play that hand. When you become more comfortable with the games, then consider playing with speculative hands, like a 10-7 suited. Every poker table is different. It’s essential that you immediately get a sense for who you’re playing with. Focusing all of your attention on playing your game and ignoring your opponents will lead to costly mistakes. As a new player, don’t focus your game on one other person at the table. This distracts you from the larger game and creates animosity, tension, and mistakes on your part. Consider your place at the table. Being “on the button” is the ideal position in any community poker game. This is why some poker games rotate – in order to give everyone the same advantage. Many new players may feel that it’s necessary to bluff. Bluffing is part of poker; however, as a new player it is better not to bluff. Until you are more comfortable with your game, bluffing is a needless complication. You can still legitimately win and consider yourself a poker player without bluffing. Poker is a game of more than just numbers, strategy and luck. Anytime you play poker and your mind isn’t 100% in the game, it’s a recipe for disaster. To put it simply: don’t play mad; don’t play drunk; and don’t play out of desperation. Play to have fun and play to win and leave your baggage at home. Hopefully these simple tips and guidelines will improve your poker experience. Any poker player who approaches the game without at least a basic knowledge of strategy would do better playing the lottery. While odds are that you will win from time to time, knowledge of how to play the game will result in more direct control over your destiny as a poker player. The goal for those who play poker is to win. Granted, you want to enjoy playing the game, but your main objective is to win. It is for this reason that you should keep being aggressive, but selective in the way you play the game. Any good player knows this, and every good poker book will emphasize this. Consider this: One player who calls every hand down to the bitter end unless they see that they are beaten on board. His or her opponents would soon learn that it will never pay to bluff this person. As a result, every time an opponent had the slightest edge, they’re going to bet since they know he or she will call with the worst of it. This player would soon be relieved of their bankroll. It’s clear that selectivity is a virtue in this game, so what about aggression? The passive player seldom bets until they feel like they have an unbeatable hand. Obviously, for this reason they won’t be heard from very often. It stands to reason that more often than not you will have hands where you think, but are not absolutely certain that you have a hand that you can win with. What you must consider is that there are more cards to come, so despite the fact that you might be certain that you have the best hand you will temper your enthusiasm knowing you have unknown cards in the deck. Unfortunately, this happens to players when they least expect it. Don’t lead your opponents on. If they think they have to draw to beat you, they will end up paying a high price. It pays to understand what you are doing at poker, especially when you consider that most games are won not by your brilliance, but by the ineptitude of others. Watch for the bad player since they offer the biggest target. They do things like calling with weak hands and other such plays. They like that because they think winning poker is like throwing a Hail Mary pass in football. These folks would do better with the lottery.